British Airways cheap return flights from Europe to Singapore from €365! 5* Singapore Airlines flights Amsterdam to Indonesia (Jakarta, Bali), Kuala Lumpur or non-stop to Singapore from €389! TUIfly Belgium charter flights from Brussels to Aruba or Curacao from €400! If interested in this British Airways special promo offer you need to look for flights departing from Europe to Singapore till 7th of December 2017 also 9th of January to 27th of March 2018. Max stay 12 months. 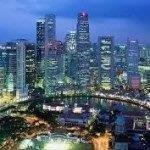 If you need hotel in Singapore you can use Booking.com or consider this 10% Hotels.com discount code. BA discounted tickets are available till 7th of November or until sold out. Below you can refer to our booking sample from each origin..
Not only if you need budget solution from Europe to Singapore you should consider this deal. Singapore is home base of major Asian low-cost carriers such as Jetstar Asia or Scoot. From there you can book cheap connecting flights to Sumatra, Bali, Borneo or Philippines but also to Australia. Booking sample of laetst promotion with Oneworld carrier. British Airways cheap return flights from Europe to Singapore from €365! Also as per our above promo deal you would depart from Luxembourg to Singapore on Sunday, 21st of January. Your return flight from Asia to Benelux would be two weeks later on 4th of February 2018. Looking for fairly priced return flights to South East Asia during European winter season which is perfect time to visit this part of the world this is great solution for majority of travelers in Europe..